With a new, stretched version of the Malibu, called the Maxx, that’s halfway between a hatchback and a wagon in profile, GM hopes to broaden the appeal of Chevy’s compact line beyond price-is-everything shoppers and rental-car and government fleets, gearing a little more toward active folks. It’s timely. 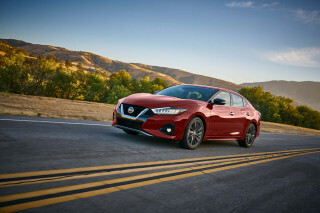 Over the past few years, a wagon-and-hatchback craze — and an emphasis on more innovatively packaged cars — has been hitting the industry. Chevy tries to stay away from both the “hatchback” and “wagon” terms, instead calling the Maxx an “extended sedan”, but the 411 is that it’s a five-door hatchback without the bowing roofline (and rear-headroom sacrifices). 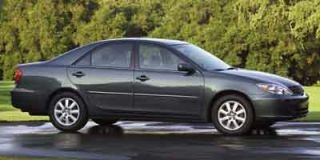 Most notably, the wheelbase is about six inches longer than the standard Malibu sedan, allowing for either more backseat legroom or more cargo space, depending on which way you configure it. And that ability to reconfigure—“to the Maxx”, as one ad-driven psyche might say — is one of the Maxx’s most attractive features. Of course the rear seat can fold forward flat, but it can also slide forward and back seven inches to allow more space for large cargo pieces or for passenger comfort, and the rear seatback can also recline somewhat. Rear door openings are about four inches wider in the Maxx, allowing for easier entry/exit. And we didn’t mention yet that the Maxx is a half-inch shorter than the Malibu sedan. Now that’s efficiency. In the back, a handy cargo shelf can fit on one of three different track heights or also hang out the back as a picnic table. The shelf is sturdy — a step up from the cardboard-like shelves on many hatches — though surprisingly heavy for most to be able to move it aside with one hand while holding a grocery bag in the other hand. 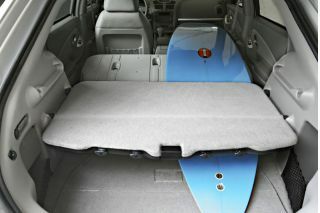 The cargo area features a standard 12-volt car power outlet. Too bad Chevy didn’t opt for a three-prong AC outlet, but it should be adequate for the popular tailgate coolers and coffeemakers. 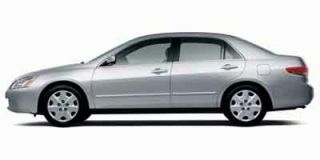 For back-seat passengers, there’s an optional ($995) DVD player, which includes infra-red headphones, video game input jacks, a remote control, and audio selection independent of the vehicle’s main sound system. But there’s even more to be said about the unique packaging. A fixed, dual-pane rear skylight brings light to the back-seat area without making headroom tight. The decidedly upscale roof glass has little shades that pull out from the center and clip into place to keep out the sun. 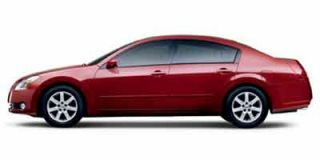 As in the Malibu sedan, the upscale LT model has a standard (optional on LS models) remote starter system — the first factory remote-starter option available for the U.S. market. Don’t ask how GM comfortably got past all the legal hurdles, but the system incorporates a number of safety cutouts. Turning on the vehicle requires holding down the lock button for two seconds, then pressing the start button on the key fob directly after. In order to shift out of ‘park’, you have to unlock the car, open the door, insert the ignition key, and turn it to the normal ‘on’ position — else the engine will eventually ‘time out’ and turn itself back off. It’s not all crazy and new. 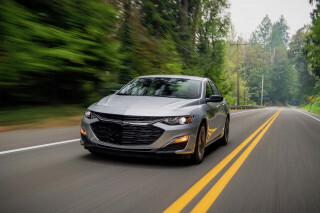 If you’ve driven a front-wheel-drive GM vehicle in the past five years (perhaps as a rental), you’ll find the Malibu’s basic controls and road manners familiar. While this isn’t a bad thing, it means that it has a very conservative feel. The only engine offered on the Maxx is a 3.5-liter V-6. It’s officially an all-new engine for this year; technically that’s true, as a majority of the parts are revised, but actually it’s the latest in GM’s family of 60-degree pushrod V-6 designs to evolve since the late '70s. The engine has a cast-iron block and aluminum heads, and puts out a very respectable 200 hp and 220 lb-ft of torque. 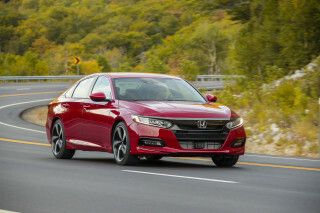 While the V-6 might still be at the low end of its class in refinement, it’s a very flexible and powerful engine, if not more so in real-world driving than those from Toyota and Honda. The V-6 — combined with the four-speed automatic transmission — is smooth and unobtrusive in gentle stop-and-go or highway cruising, yet peppy for tire-screeching stop-and-go, but the powertrain combination doesn’t deal with hills or quick traffic maneuvers in the most civilized way. Full-throttle downshifts are snappy, but partial-throttle downshifts (such as needed for climbing a long grade) are sometimes hesitant and jerky. The V-6 sounds thrashy and much louder above 3500 rpm (although thanks to a new powertrain cradle and bushings you don’t feel it). On the plus side, the actual passing power is really quite amazing, and it’s also one of the most fuel efficient V-6s available. The new variable electric power steering system doesn’t bind up in tight parallel parking situations as hydraulic systems sometimes do when taxed, but it stays way too light at lower speeds of, say, less than 30 mph, when you could quite literally steer with your fingertips. There’s also a poor sense of on-center at low and moderate speeds — a problem that plagues many of GM’s smaller front-drive cars — and nearly no feedback. What this means is that you tend to overcorrect both when going straight and in corners. At high speeds, the steering feel improves marginally, but don’t expect to feel the road through the steering wheel. We did notice that a stomp down on the gas pedal resulted in a sideways tug on the steering wheel (torque steer), a trait that’s shared with Saab’s 9-3 — built on the same platform, called Epsilon. The most noticeable and pleasing difference from other recent front-drive GM cars — including the outgoing Malibu version that’s still on sale this year for fleets — is in the brakes. The pedal now has a firm feel when you step down on it, and the pressure applied feels more proportionate to the rate at which you scrub off speed. 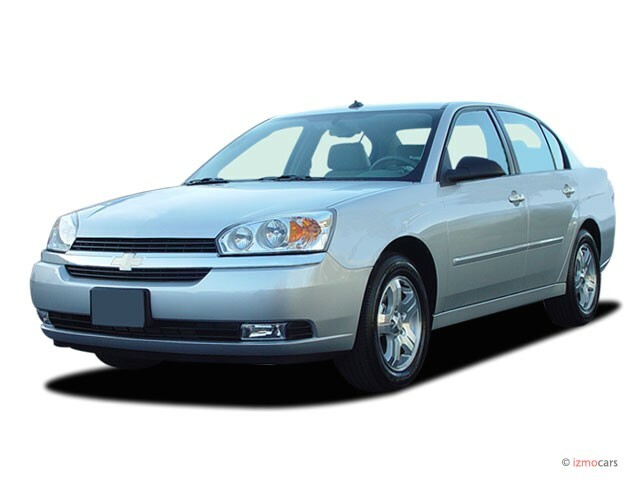 All Maxx models have four-wheel discs (versus rear drums for the base and LS Malibu sedan), and dynamic rear proportioning is part of the anti-lock system, also standard on the Maxx. Underneath, the Maxx shares the same basic platform and suspension arrangement as the Saab 9-3 and Euro-market Opel Vectra, with a MacPherson-type strut setup in the front and an independent, multi-link arrangement in the back. The ride is firm, almost jittery, on relatively smooth roads with minor bumps, but it can become bouncy and pitchy on uneven surfaces, heaves, and railroad tracks. But overall—the feel of the steering aside—the Maxx handles quite well. With its “plus” packaging, it’s not surprising that the Maxx’s interior is a very commodious place. The front seats are very supportive and adjustable, and wide enough for big folks, though this slim driver had trouble finding enough lateral support from the flat, firm cushions. The backseat area is spacious and airy, unmatched by vehicles with similar outside dimensions. There’s plenty of headroom in the back, thanks to the roofline that doesn’t taper down like a typical hatchback, and with the rear seats slid to the rearmost position of their travel the legroom, at 41.0 inches, comes within a hair to that of a Lincoln Town Car (41.1). And while there might not be enough shoulder room for big guys, there’s enough legroom for three without splaying feet out and under the front seats. The upholstery, UltraLux synthetic suede in our high-end LT, showed to combine the best in comfort from cloth and leather, and it looks and feel great, however it also looks difficult to clean up. Heated front seats are also standard with the LT. The cargo area is as spacious as it looks, and the reconfigurable cargo cover helps get the most of it. We found we could flip the cargo cover over to the hard plastic side, where the recessed area allowed us to leave muddy boots from a hike to dry in place as we drove. Two side pockets with integral cargo nets keep smaller things from rattling around. And here’s where it hurts, because I like the Maxx and its unique packaging. When it comes down to the finer details — the cosmetic details that can often make or break whether a shopper buys the car — GM misses the mark on several counts. The interior is very attractive and tasteful, but in an inoffensive, traditionally Buick sense of nice — not the kind of interior theme you’d expect in an innovatively packaged, youthful activity wagon. 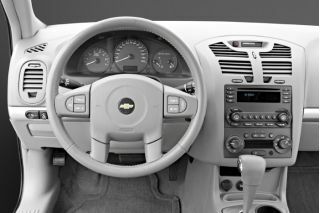 Basically, it’s appointed with a mix of matching tones of gray and/or beige plastic and faux-wood trim inserts. 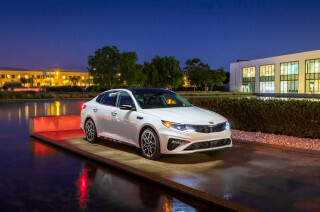 Competing models like the Mazda6 or VW Passat have a certain level of fashion and vibrance, and the look and feel of the interior is more of a selling point than ever. Attractive, well-coordinated colors and textures (except for the fake wood inserts) are used throughout, though we’ll venture to say few would consider the interior exciting or youthful. But everything fits together tightly, controls and switchgear felt substantial and had satisfying tactility; storage cubbies seem designed to last; cupholders are sturdy, and door panels feel secure, not flimsy. And we didn’t notice a single rattle. 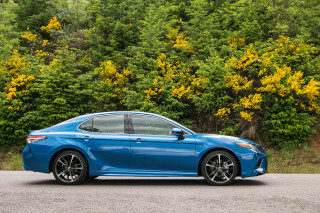 Overall, the car has an interesting and quite appealing silhouette that really grew on us, but we never warmed up to the conservative and awkward front and rear fascia treatment. Yes, a wide, chromed plastic bar stretches the length of the grille in front and an equivalent one graces the back end. To an opinionated 30-ish male friend, the keyword was “dorky.” Really, the effect is questionable, and it seems both the front and especially the back end would look more tasteful if simple and clean. If the Maxx isn’t quite the right match for you, there are alternatives. 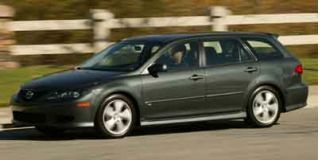 For example, the Mazda6 wagon undercuts it slightly in price, offers a more upscale interior theme, and is a lot more fun to drive. In base LS trim the Maxx comes very well equipped, but in LT trim it upgrades to a list of standard real luxury-car features that typical Chevy buyers aren’t used to, like heated seats and mirrors, automatic climate control, adjustable pedals, and a trip computer, just to start. But it seems to us that in this crowded class, the price point is extremely important. Why not bring in the Gen Y buyers with a base Maxx version with four-cylinder, five-speed manual, no skyview roof, no power adjustable pedals or remote starter, some more rugged or sporty styling cues, simple upholstery, and only a few power accessories for about five grand less? If the Maxx is aimed toward older folks, never mind, Chevy has the formula right. But if they’re trying to reach out to younger, active people (those who are excited about the upcoming Nomad mini sport wagon?) who are on a budget, Chevy may be missing out. 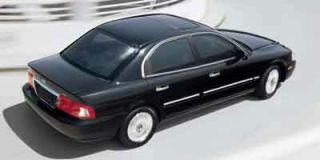 Major standard equipment: Remote vehicle starter system, automatic climate control, leather-trimmed seats with Ultralux inserts, fold-flat reclining rear seat, multi-position cargo panel, rear skylight, heated front seats, heated outside mirrors, power windows/locks/mirrors, fog lamps, cruise control, tilt steering wheel, keyless entry, trip computer, steering wheel controls. car is still exceptional. I get 37-38 mph per gallon of gas at speeds of 75-80 and with air cond on.